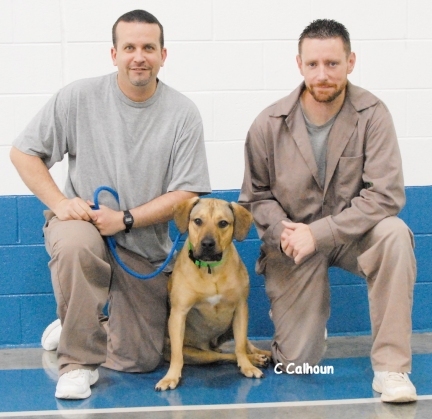 Since 2006 we have partnered with a local Correctional Institute in a program called "A New Leash on Life." 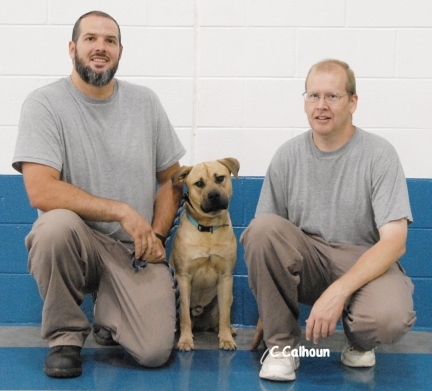 This program allows eight inmates to train four of our dogs in basic obedience. 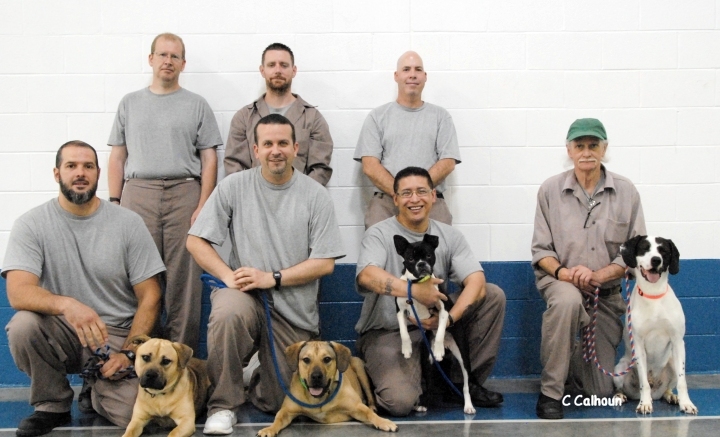 The dogs spend ten weeks in training at the correctional facility. 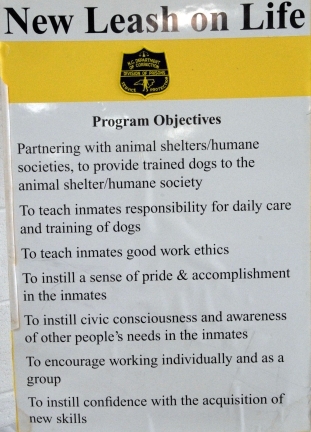 The program makes our animals more adoptable, preparing them for their forever homes, and has changed the lives of all the inmates involved. 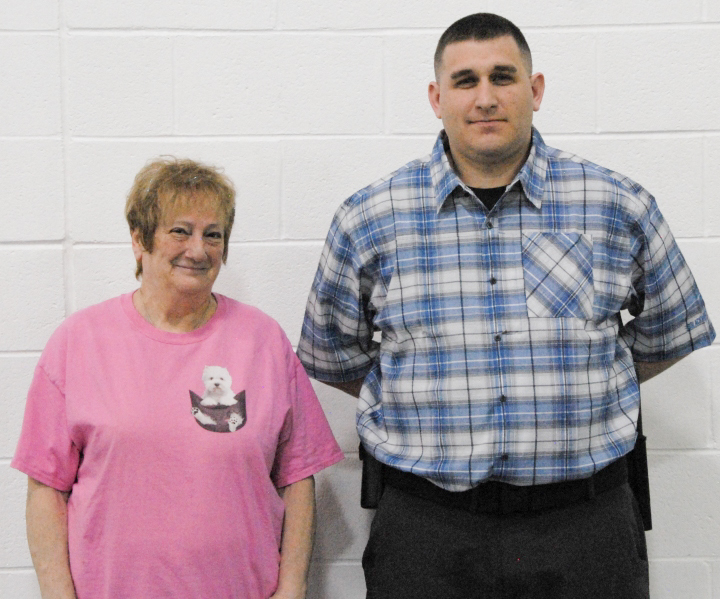 The Avery County Humane Society has joined forces with the American Kennel Club to provide more training and opportunities for the community’s homeless dogs. Now all dogs that graduate from the New Leash on Life program will go to their new homes with a registration in the AKC Canine Partners program. 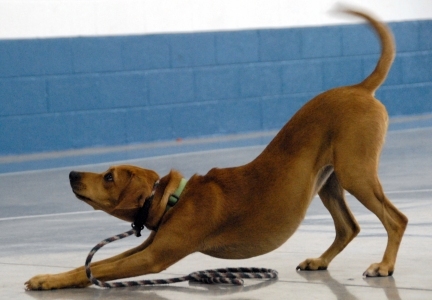 The Canine Partners program enables mixed-breeds and purebreds “without papers” to enjoy AKC benefits and compete in AKC events, including agility and rally trials. The registrations include other benefits of value to all dog owners, including 60 days of free pet health insurance and a one-year subscription to the AKC Family Dog magazine that includes tips on training, grooming and health care. Owners receive a registration certificate from AKC, suitable for framing, which includes the dog’s name and individual AKC number. 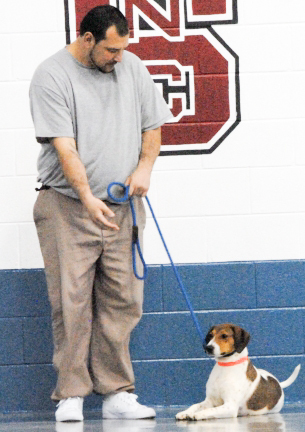 Avery County Humane Society works in conjunction with the Mountain View Correctional Institute in Spruce Pine on the New Leash on Life program that benefits both the shelter’s dogs and the prison’s inmates. 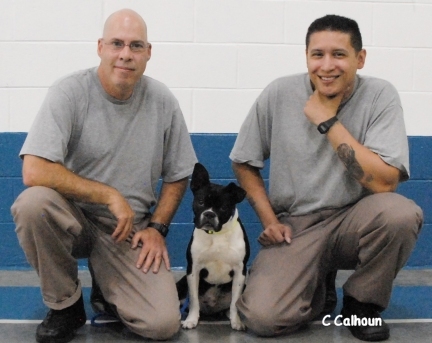 Shelter dogs live with inmates, who are selected as trainers, for several weeks. 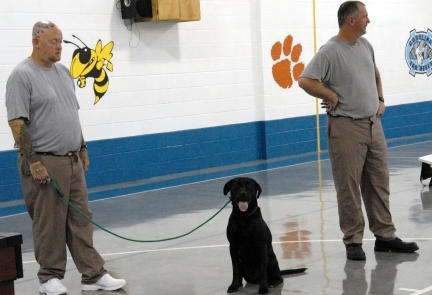 Professional dog trainers conduct classes at the prison and advise the inmates on the dogs’ behavioral and training needs. The socialization and training prepare the dogs for life with their new families, and that increases their adoptability. 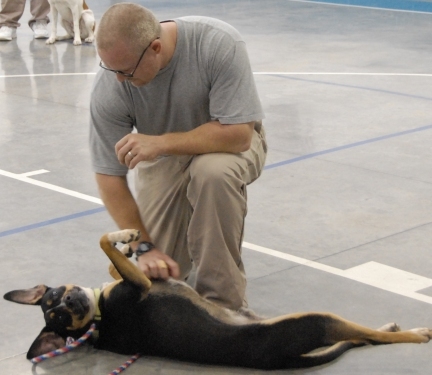 “Having basic training and socialization will make these dogs’ transition into their new homes much smoother for both them and their new families,” Calhoun said. 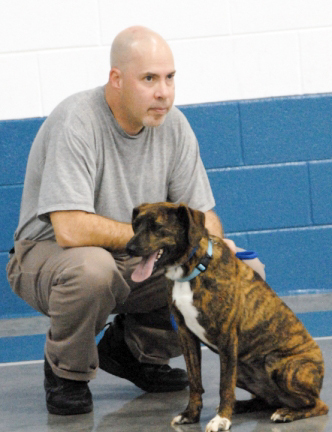 New Leash on Life also benefits the inmates who learn responsibility and dog care skills that may help them find future employment in the animal care field. 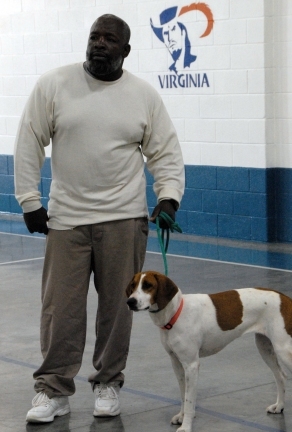 The AKC looks forward to a long relationship with the Avery Humane Society and New Leash on Life, which is a program of the NC Department of Corrections. “We are delighted to work with such a dedicated group of people who work so diligently to find good homes for these deserving dogs,” said Mark Dunn, Assistant Vice President of AKC Canine Partners. The American Kennel Club Inc. is the oldest dog registry in the country, having been founded in 1884. The not-for-profit organization not only registers dogs and governs dog shows, it works to improve the health and welfare of all dogs though the AKC Canine Health Foundation, the AKC Companion Animal Recovery service, disaster relief and more. 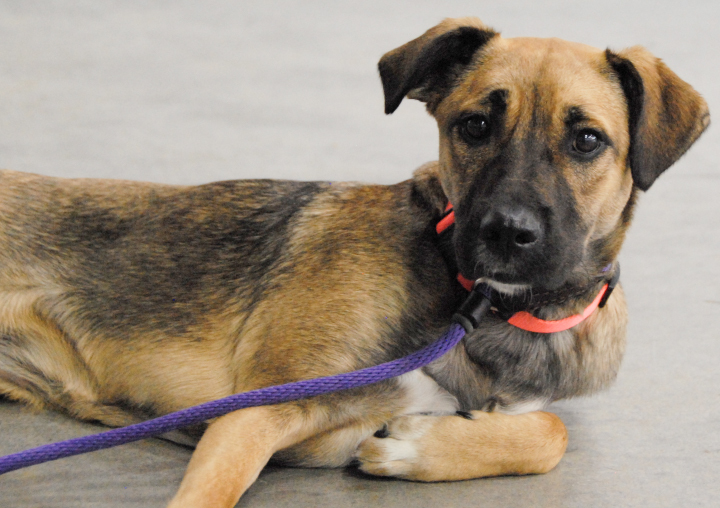 For more information on adopting a dog, contact the Avery Humane Society at 828-733-2333 or averyhumanesociety@att.net. For more information on AKC Canine Partners, contact akccaninepartners@akc.org or call 919-816-3749. 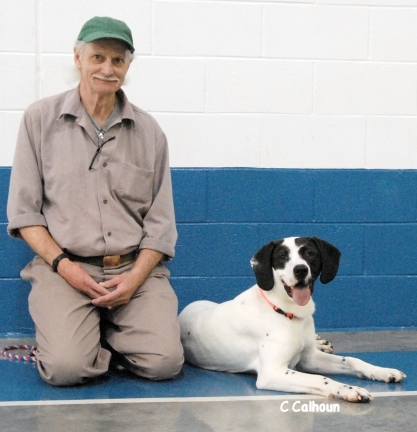 Judy and Ron Rowand were the initial trainers for the New Leash on Life Program. Judy has been a professional trainer for over 40 yrs. Judy helped get the flagship program started in Marion and Black Mt units. Ron and Judy are happy to be helping with the program at Mt. View Correctional facility. He sleeps and is calm on car rides. Patches loves kids and attention. He loves chew bones and sometimes chases cars. 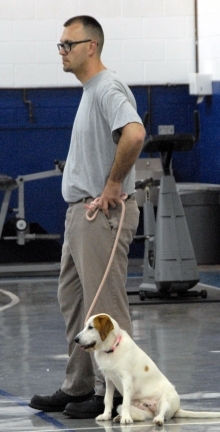 Patches is currently enrolled in the New Leash on Life training program. 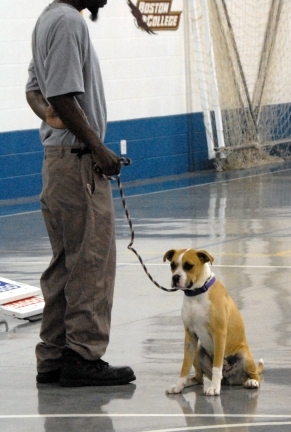 Through the New Leash on Life program they are trained in basic obedience including house training. While in training they are not allowed visitors. This is prison policy not ours. I visit the prison once a week to check on their progress and watch the training. They can be adopted at any time but cannot leave the prison until graduation. So far his graduation date is set for 6/4/19. Roman is a super sweet boy. He seems good with other dogs and is house trained. Roman is currently enrolled in the New Leash on Life training program. Through the New Leash on Life program they are trained in basic obedience including house training. While in training they are not allowed visitors. This is prison policy not ours. I visit the prison once a week to check on their progress and watch the training. They can be adopted at any time but cannot leave the prison until graduation. So far his graduation date is set for 6/4/19. Hoss needs some training when left alone in the house. He is a great boy and knows commands sit, come and off. He sits at the door when he needs to go outside and he enjoys car rides. The adopter says he is the most loyal and loving dog you could own. He will chase birds and deer. His favorite activity is tug-o-war. Hoss is currently enrolled in the New Leash on Life training program. Through the New Leash on Life program they are trained in basic obedience including house training. While in training they are not allowed visitors. This is prison policy not ours. I visit the prison once a week to check on their progress and watch the training. They can be adopted at any time but cannot leave the prison until graduation. So far his graduation date is set for 6/4/19. Tazz is currently enrolled in the New Leash on Life training program. 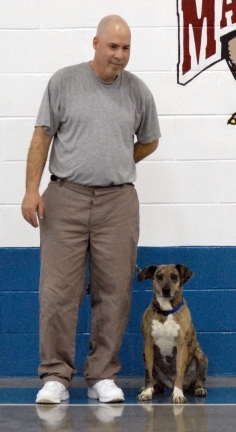 Through the New Leash on Life program they are trained in basic obedience including house training. While in training they are not allowed visitors. This is prison policy not ours. I visit the prison once a week to check on their progress and watch the training. They can be adopted at any time but cannot leave the prison until graduation. So far his graduation date is set for 6/4/19. Tazz sure likes being held and given lots of attention. Indie goes belly up at the drop of a hat! She loves attention! <~~Esmerelda and Call taking a short break. <~ Clyde getting a belly rub. He is such a love sponge! <~ Pumpkin waiting to show her stuff! <~ Luna waiting her turn. <~ River takes a bow!